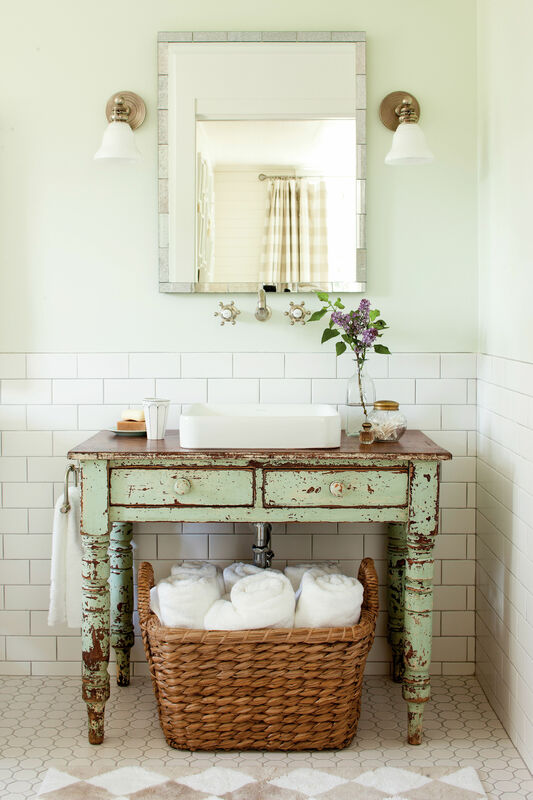 Aqua and taupe make this bath anything but ordinary. 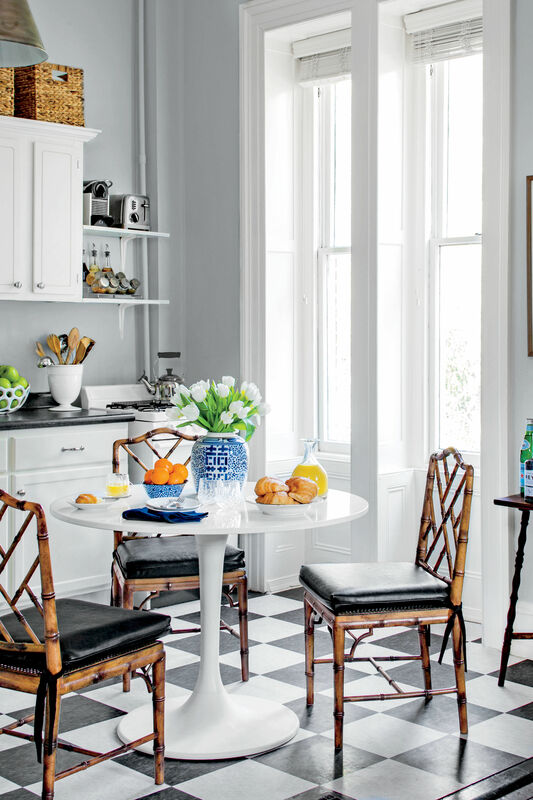 Fresh, cooling hues, inspired by sandy beaches and azure waters, rejuvenated this sunny space. The redo came after Hurricane Ivan pounced on the home of Connie and Rodney Randle in Gulf Breeze, Florida. 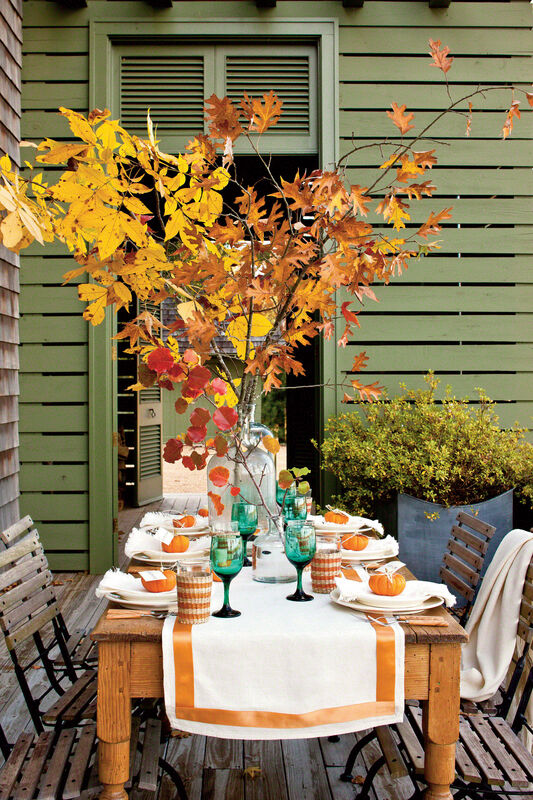 While the couple was repairing the damage, they made other improvements too. Among them--a more spacious master bath. With designer Cheryl Kees Clendenon of Pensacola, the Randles chose luscious aqua to be the star attraction of the space. Through a high horizontal window, the walk-in corner shower offers a picture-perfect view of boats docked behind the house. The shower, like the floor and tub surround, is surfaced in creamy beige travertine. A tall pane of opaque glass, situated in the wall above the tub, gives the shower more light. 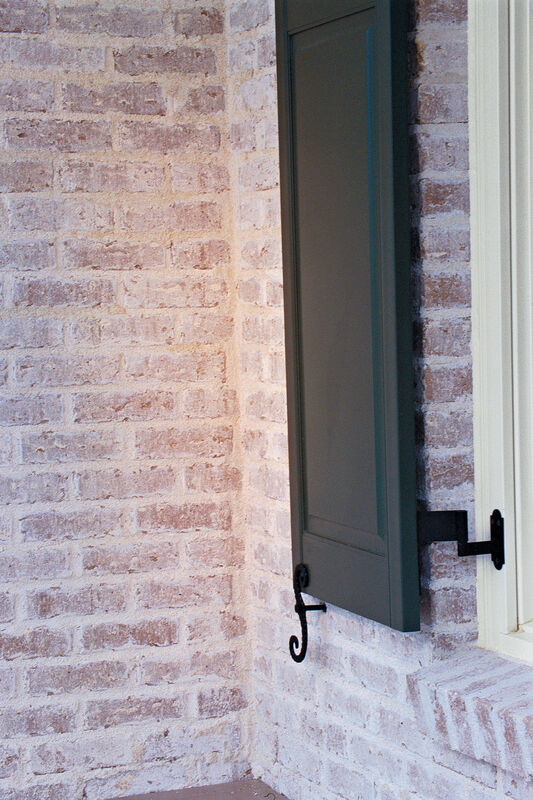 Plantation shutters on the windows offer privacy. Cheryl designed an L-shaped countertop with a solid surface material that replicates the look of antique glass. She also included a tall corner cabinet and a storage piece containing fluted glass doors. Metal sconces fitted with green glass shades illuminate the tortoiseshell mirrors. Who wouldn't enjoy a soak under the seashell-trimmed chandelier? A narrow mosaic of taupe and aquamarine tiles borders the tub surround. Now, with all its tropical touches, this bath is as refreshing as a day at the beach should be. 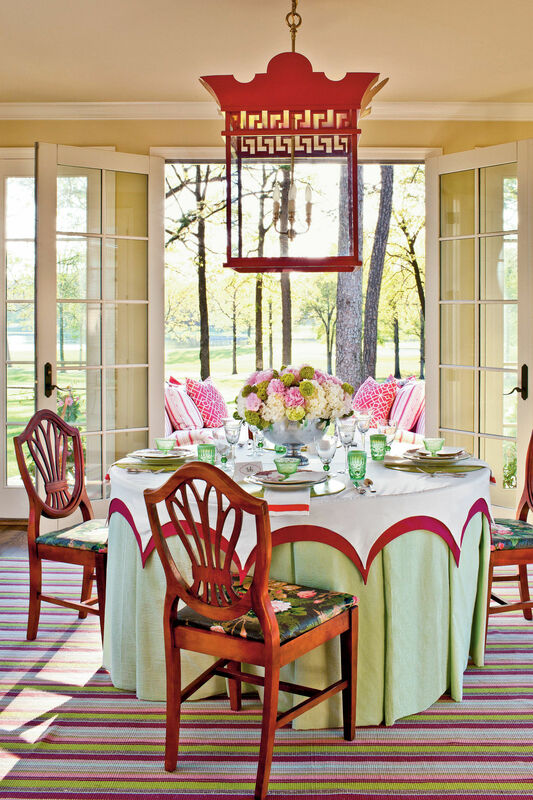 "Pretty Color Combo" is from the August 2007 issue of Southern Living.